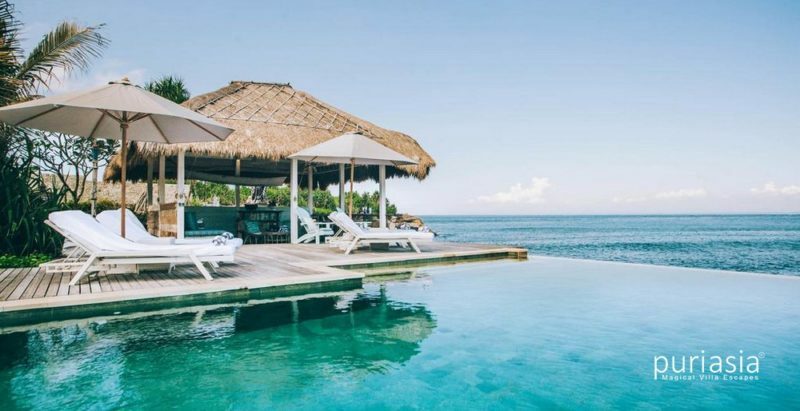 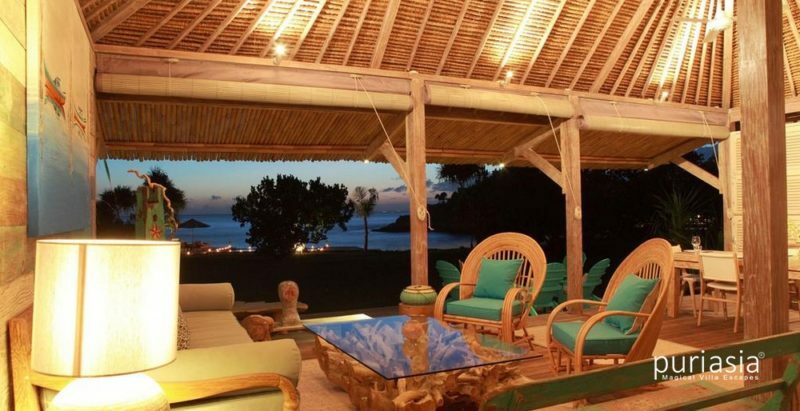 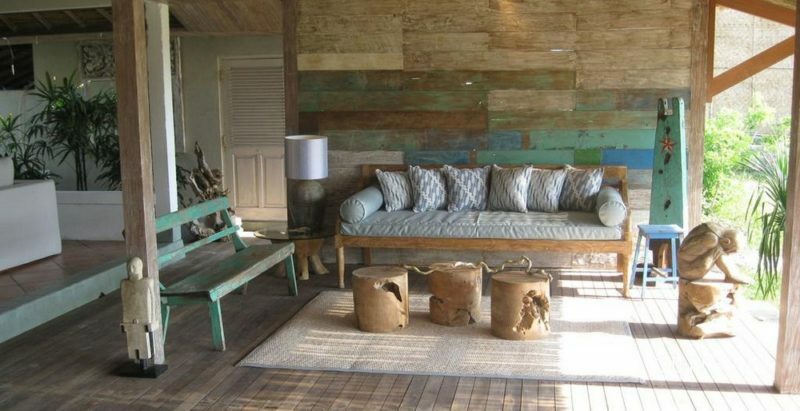 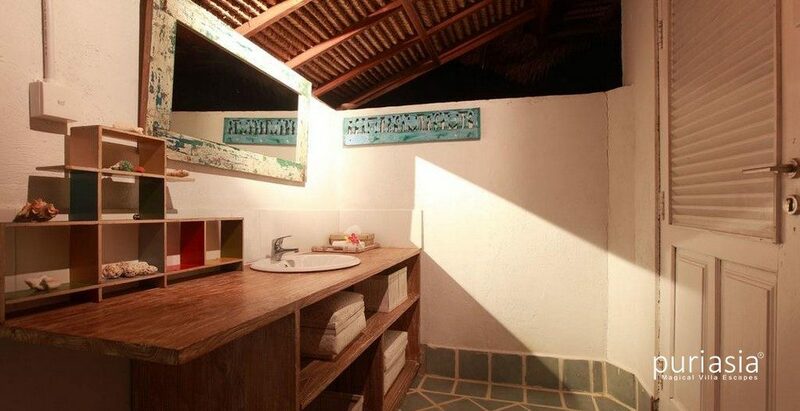 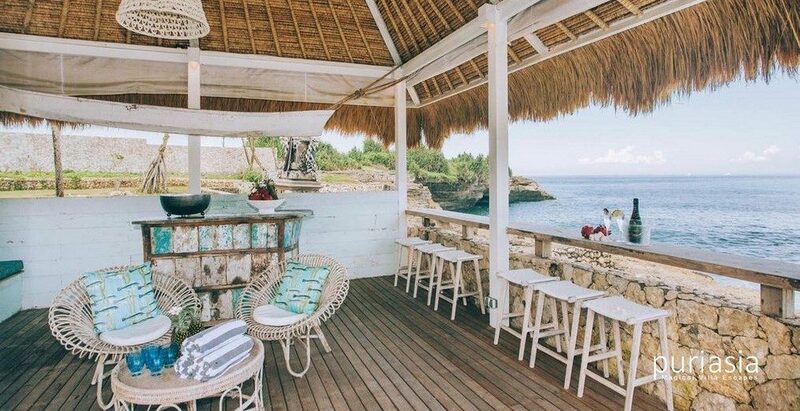 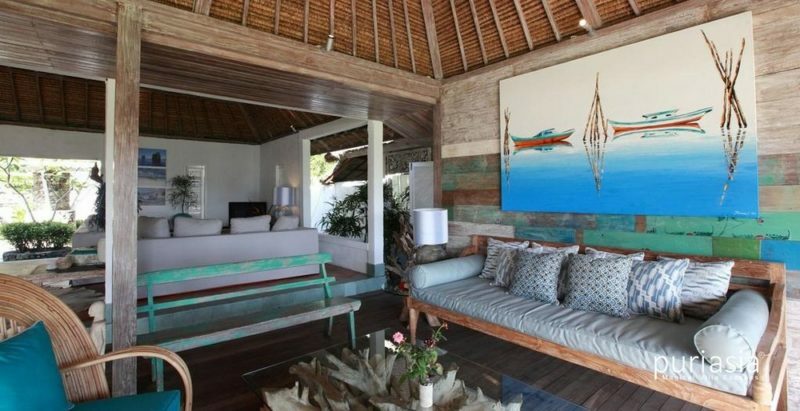 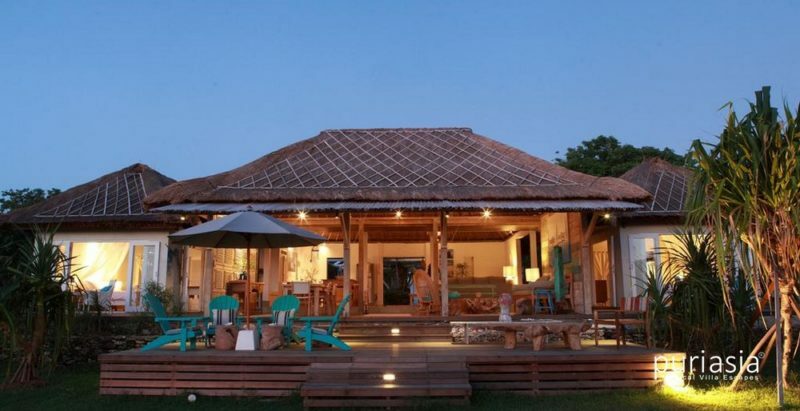 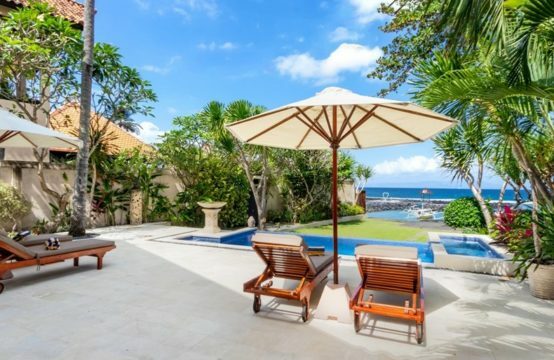 Driftwood Villa at Sandy Bay oozes delightful charm along with the ultimate in beachfront living in Lembongan. 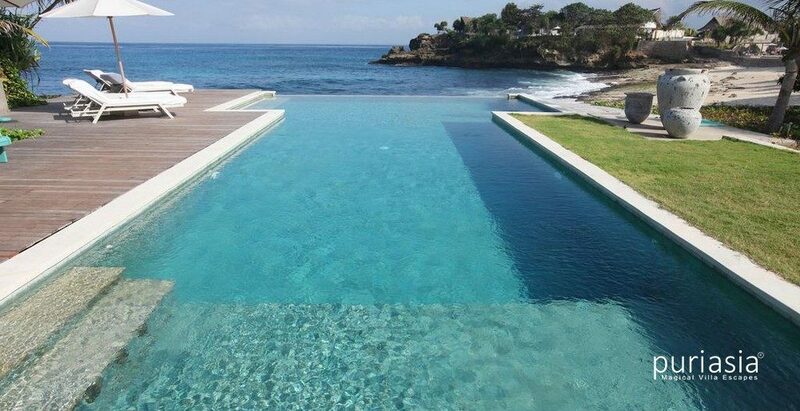 This is a place to escape to. 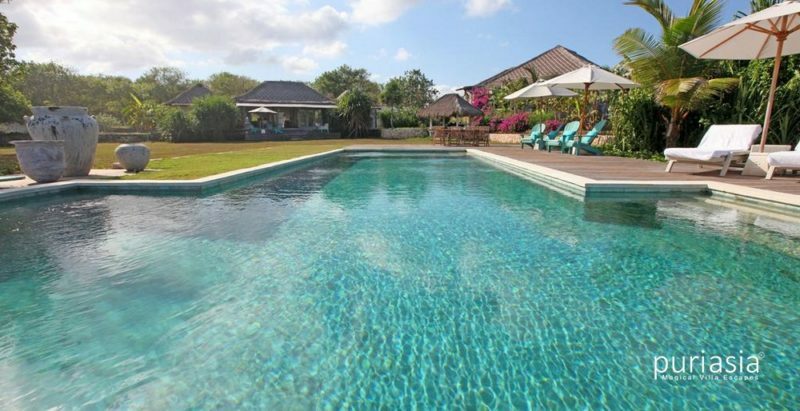 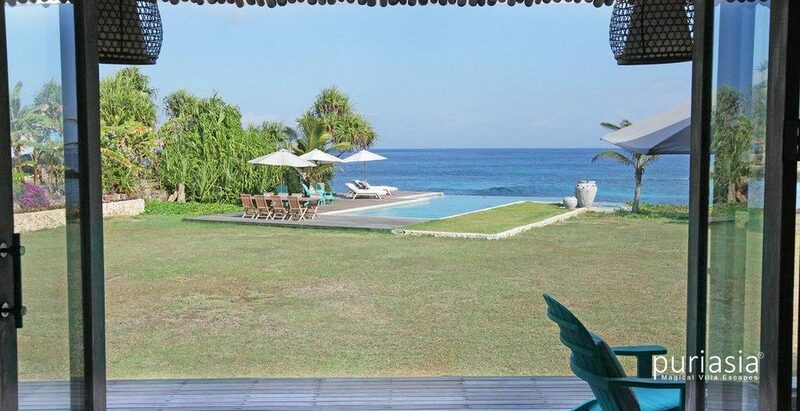 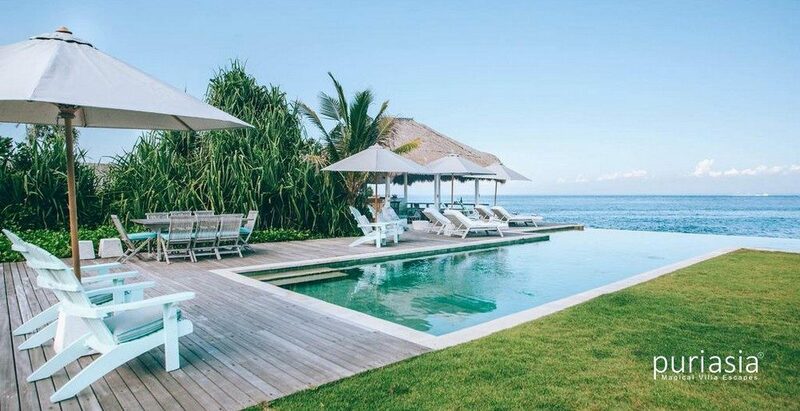 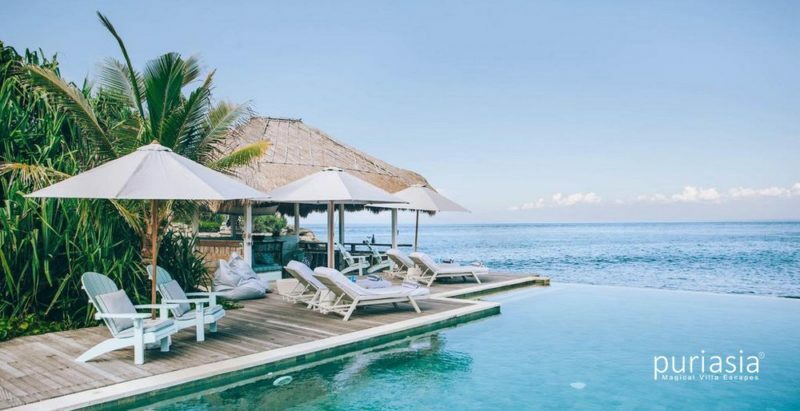 Set on just under 4000m2 of land with an extensive lawn and an infinity edge swimming pool right over the beach, you probably will not want to leave. 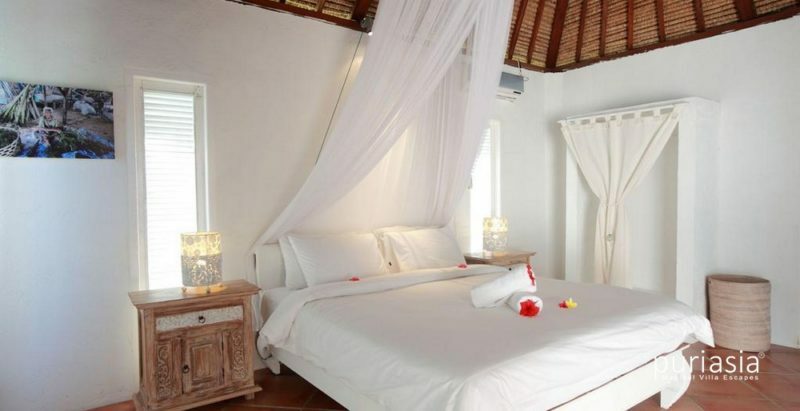 Offering two air-conditioned master bedrooms with en-suite bathrooms and outdoor showers, Driftwood at Sandy Bay is the perfect getaway. 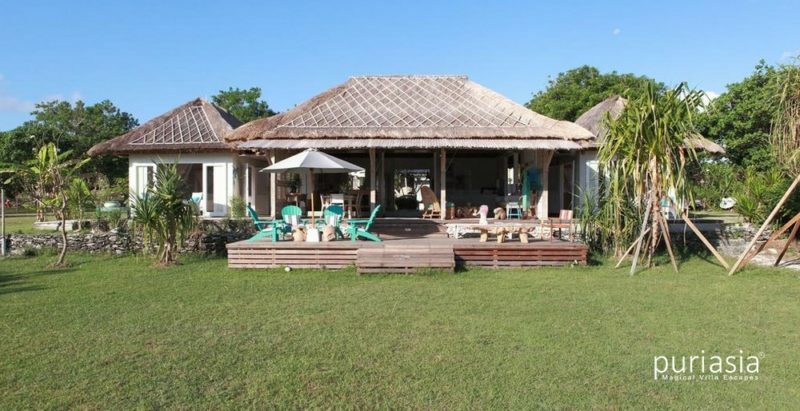 It enjoys extensive open living with lovely deep sofas, a large daybed with big cushions and plenty of outdoor living space, both by the pool and on the large verandah, not to forget the bale (gazebo), the perfect spot to curl up with a book or to enjoy a massage. There is satellite TV and a DVD player inside the villa as well as a Bose iPod docking system. The whitewashed open plan teak kitchen has plenty of utensils, a gas stove and large fridge. 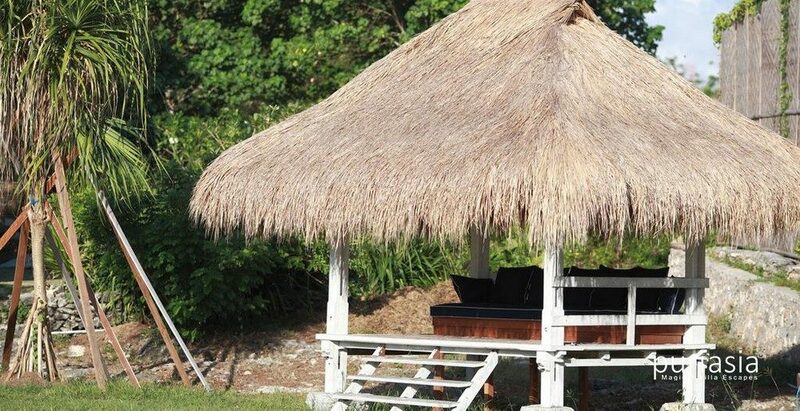 There is also a gas BBQ in the back garden. 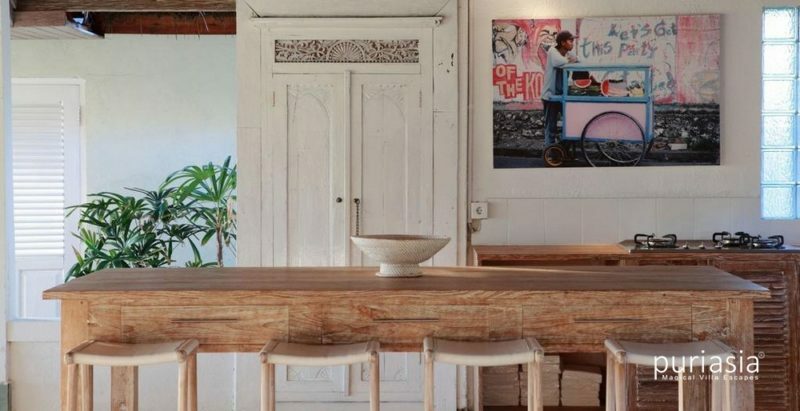 Less than a two minute stroll either along the road or via the beach to The Sandy Bay Beach Club, you are not far from great food, cocktails and wines. 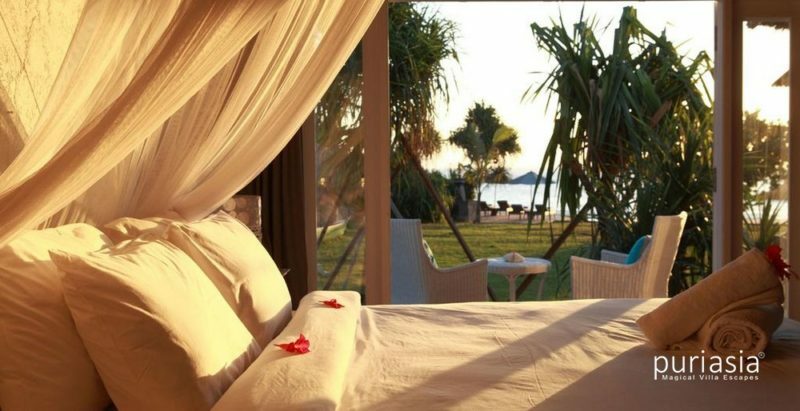 All of Sandy Bay enjoys stunning sunsets – you will not want to leave!